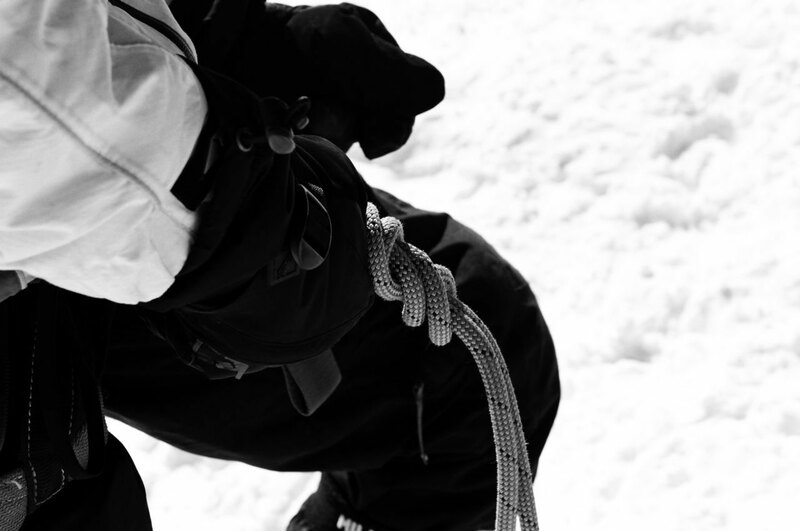 If you attempt MontBlanc, you already know basic gear and dressing principles. Here is the funny thing – you cannot skim on equipment, but in 90% of cases you are likely to use only half. When you see the top of the mountain from the wine-bar in Chamonix it is very tempting to go light. That is exactly the way how one can get in trouble. If you do not have double boots – you most probably can do without, unless you contemplate a winter ascent. The risk area here is how wet they will get inside and if you will be able to dry them overnight. I always carry 2 pairs of gloves/mittens and have a system that fixes my gloves to my shell. 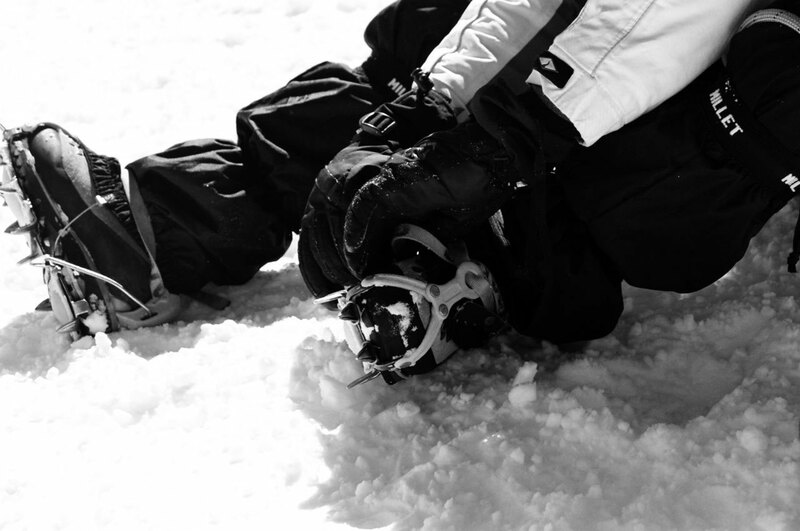 The slopes of MontBlanc are steep and icy and once your glove falls, you will not be able to retrieve it. Do your rope work, you are in the glacier area. And it is a good training! A lot will depend on where you plan to sleep (in case you do) – in a hut or in a tent? If in a tent – throw in the usual camping essentials and take a shovel!